A section of the audience at the 7th Annual George Lamming Distinguished Lecture presented by Professor Sir Hilary Beckles. CARICOM’s strongest advocate on the issue of reparations, Vice-Chancellor of the University of the West Indies, Sir Hilary Beckles, is of the view that the discussion with Britain needs to be re-examined and intensified if the Caribbean is to get its dues. 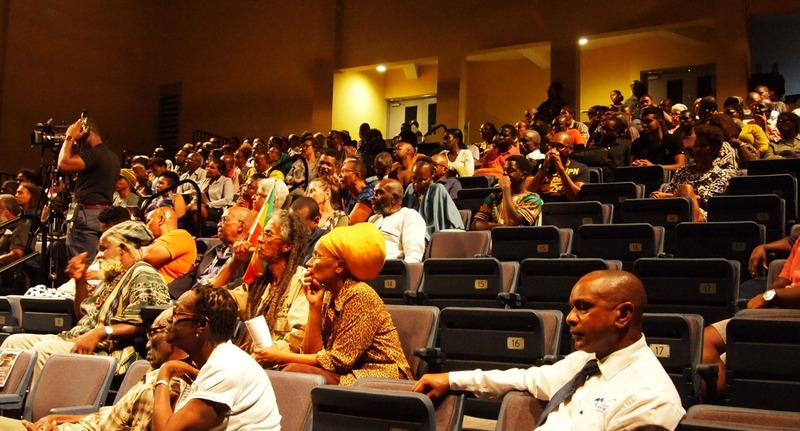 Sir Hilary delivered a captivating presentation to a packed audience of academics, members of the Pan African and arts community during the 7th Annual George Lamming Distinguished Lecture on Tuesday night at the Errol Barrow Center for Creative Imagination (EBCCI) at The UWI Cave Hill Campus. He spoke at length on the topic of Britain’s Perfect Caribbean Crime: Ignored Genocide, Faked Emancipation, Insincere Independence and No Reparations after which he received a standing ovation from the audience. His detailed presentation on the reparations discourse touched on the ways in which the last six generations developed their own form of reparatory movement and emphasised that it was crucial for the younger generation to take up the fight until the Caribbean gets what is owed to it. Recapping the instances where former British Prime Ministers, Tony Blair and David Cameron, attempted to sweep the issue of reparations under the carpet, Sir Hilary said the current impoverished state of the region is more than enough reason for the case to be reopened. He said the leaders who pushed for independence from Britain did the Caribbean a disservice by not incorporating the reparations discussion into the independence discourse. 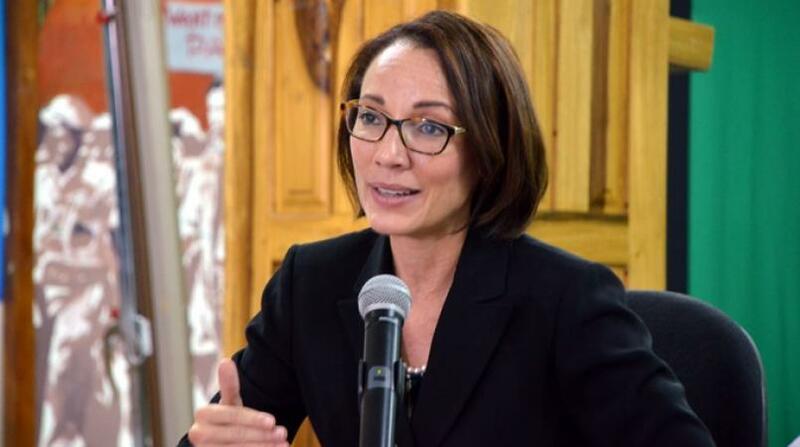 He also said the enormity of the mess created by Britain was now overwhelming Caribbean leaders and Britain must return to the region and engage in a full, cooperative effort. 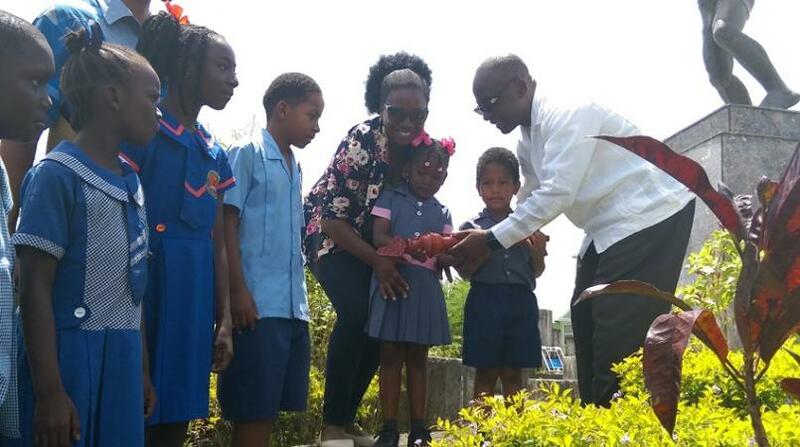 He said while the £300 million donation from Britain through the Caribbean Development Bank was a start, he believed this financial support was “only the beginning” and stressed that the children of the region were in need of reparatory justice now more than ever.